It's 224 days ago, but still player 2 can't play other heros such as poppy. 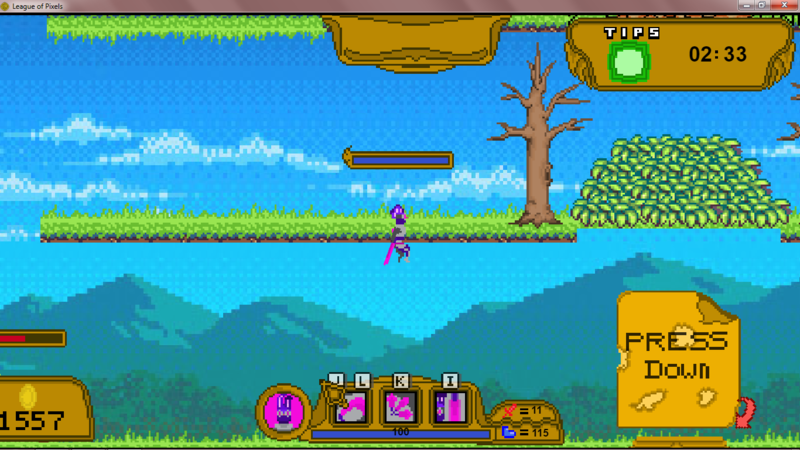 Btw bunninja has a bug. his K just shoots it out far witout returning. I love this game so much! Keep it up Danius! a item shop from Local? Yes, I was focused on the new champion and on updating the visuals in my game, to make it more polished. Hey bro do you have a download link for pc? or Windows? ive try'ed to download all the links you have but no one works. I really like your game ill support it. But please put a link for windows. There are 2 files for windows, either 32 or 64. But you'll need to unzip them with WinRar or 7Zip (or some similar software) first. Loving this game, the AI's kinda OP, I dunno... Make the AI more realistic tho. By the way, I love how you created Bunninja (it's like Zed from LoL and Hayabusa from ML), and he's so OP just go pure AD. I am NOT making profit out of it, as the whole content is free to play. Everything I do is completely legal here, I contacted Riot games already. Maybe when I got time again. But her whole trickster part with the passive and W would be hard to implement. Working on Akali right now! I won't add currency and voices to the game. Right now I am quite busy, but I try to finish the 2nd player champions as soo as possible. I added an android version, try it out! Why does the second player cannot pick poppy and others on splitscreen mode? I didn't copy their code to player 2 yet. Especially when I want to change something, I would need to change it in both codes. 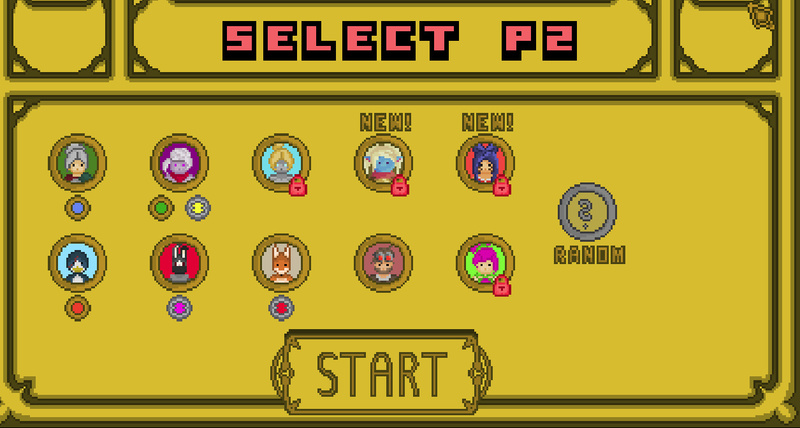 So I wait a bit before I make them playable for player 2, or I would need to make some steps multiple times. But I will add them soon. Is there a downloadable version with the new update? I really love this new updates keep it up. yes there is, for windows, Linux and and mac! Is the update not finished??? Bunninja's ultimate goes throug ground too, just a feedback. Oh, I think somehow the splash damage applies twice. Normally the blue should be a bit transparent, it looks purple because now two of them spawn and overlap, so the opacity gets higher. Can you add another upgrade? I already thought about adding attack speed and cooldown reduction, let's see what I can make with the damage types. By the way, I just updated my game. It is not yet downloadable though, only in the browser version. Tell me what you think! but VS friends it is really good. Thank you for playing my game! Belle is also one of my favorites, but especially her head looks a bit odd and stiff (similar to Riven), need to change it a bit. when the AI is the guy with the shotgun, the bullets don't dissapear until they hit you or your minions, and they just stay there until they are hit. Strange, normally they should disappear. I'll have a look over it, thank's! what exactly does doom bot mode do? It changes thing's like the bot's reaction to certain things and gives him more gold. looks like the browser version is not working, and another bug (desktop) when i use bunninja on lightweight mode, im getting stucked on the ceiling when i use his "I". And can you please remove the lock on the champs in multiplayer mode. Strange, on which system and browser does the browser version not work? I just uploaded the downloadable versions again (sorry for it being so late, totally forgot it), tell me what you think of the new update! Please put a dowload link cause i like this game so much but i really need to download it so i can play it offline, and i like the new update your i hope theres more update too come keep it up... sorry for my english pal :D. My support is all yours. Thank you for your support! I am so sorry that it took so long... but I somehow missed the notification. The game is too good the perfect gameplay just like the graphics to be in 2D. You have all my support and I would like you to make a Spanish version or some button in the menu before playing to select the two languages, in my school there was about 1 week ago an activity about videogames and I told you many of my friends and more people started playing, if you want I help you translate your information from English to Spanish, I love your project and I would like to help you, and I do not know if you would like it to help you, if you want you can write to my email or leave me the Yours and I write you more or less how the idea would be. Thank you for trying it out! Nice job! Which engine do you use to make this awesome game? Will you make multiplayer via Internet? I used something similar like Game Maker (called Construct 2), so a simpler 2D enginge. I think multiplayer won't work now, since I would have to rewrite so much. In 2017 was premiere of Construct 3. Why you don't use it? BUG: In single player jumping on middle button will make you flying when u didn't jump from it. BUG: At normal mode u can go into turrent as penguin. I started my Game already before the announcement of Construct 3. Also, Construct 3 ist WAY more expensive Witz 90€ per year instead of 90€ one-time purchase like Construct 2. As I am sure that I won't use Construct for that long anymore, it would not be worth it. Hm, that First Bug sounds interesting, I'll need to test it myself. The second one is known already, I guess I was too lazy to fix it since it is quite low impactfull. But easy fixable in less than 2 minutes. Yes, I also had that bug sometimes. Would be easy to solve by just destroying that minion in such a case. But thats my minion, I cant destroy it..
And can u please make the spell cast on where the mouse is pointing, THANKS!! Yes, I meant that I can solve it by coding it so the minion will either jump/get destroyed. Mouse directions for skills are in work, but it actually ended up to be quite complicated. Let's see. This game is awsome, thanks men!! Also I Try the Android Browser Version Of this Game But It's A Bit Laggy. Thank For Making This Awesome Game. Yes, it ja quite laggy because web Games have horrible Android support. The only Problem is to make it work on Android, already implemented an Android version and I know how to make it work for Android. But I am struggling with performance problems right now. Thanks KingDanius. I'm Gonna Wait Again For The Android Version Haha. Sorry For My Bad English haha. Hello, Love the game but wish there was a way to play this with my friends at school with a laptop. The option to change controls would be great! You may just download it on an USB stick and take it with you! Is the browser version not working? But Player 2 can use a mouse if you got one instead! We tried it with mousepad but the control input weren't correctly registering (our school laptops are weird). I'll bring a mouse next time, Thanks! Who thought out these controls? Absolutely Stupid lmao why would you have the abilities on jkli??? I did to make 2 Player on 1 Keyboard possible. But you can use the mouse or a controller, too! Intented were 2 Attack keys, to make it possible for the player to Attack behind you while moving. I tested many control ways but I though that this was quite fitting. I love this new update!!! It's very reassuring that you are active, I was afraid you left. But, even if you leave we still support you! I worked on something different in the meantime, combined with the whole schoolwork I could not manage to work on this game. But I try to keep updating it! Can u please link me the browser version cuz its not showing up for me. Also i REALLY like the game and would like to help with champ, map, balance ideas! I would install, but im on a linux laptop cuz im getting a new pc and my old one doesnt work. Thank you for asking, the Browser Version is somehow broken and doesn't Work... But I will Upload one for linux! Did you try using the new download version for Linux already? Danius you should add TP,Flash,Ignite, those types of things. And when you kill someone it should say " enemy slain" or something like in the actual game. add player stats so you can have an account or something. and add a 3v3 mode with more maps perhaps make the map bigger. and have an actual shop. Other than this... this is the best 2d MOBA i've ever played and i really do hope you keep up with this game because it has lots of potential! Keep up the good work! Thank you for the review :) ! I will try to keep Update the game and improve it, but I am already getting to the Limits of the program I Mare the game with. Something like summoner spellsy and new sounds new Sounds are Always possible. 3v3 might be more difficult because of how I coded the game. I should have to rewrite a lot of the game. Please bring back the game here. Do you mean as a browser game? Yes, it was bugging earlier. I have to see if I can fix it now to upload it again! But you can also download the game, too.